I got a beautiful Chinese craft tea from Cha Yu. 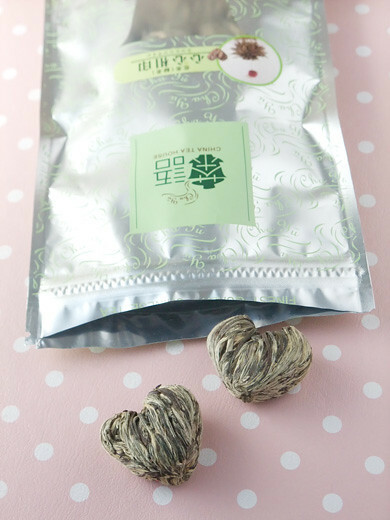 Drop a heart shaped jasmin green tea in the pot, then tea leaf slowly open and pop up a red flower with white butterfly. It is like a dreamy show and fragrance of the tea is spread over the room. I’ve never seen tea like that before. Oh, that looks so pretty. Would like to try. wonder if they have that in Sydney. That is so nice – I especially love how there is a flower and butterfly that pop open. So beautiful! 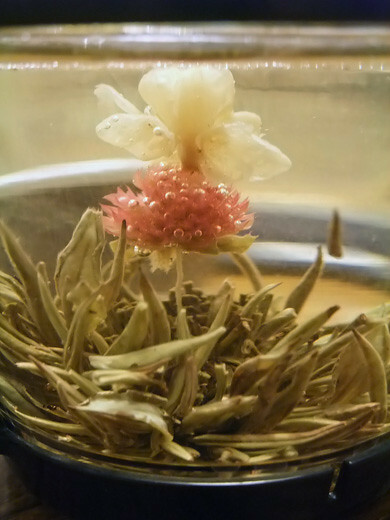 I love tea so much, I want to find where I can purchase that. That is very beautiful and artistic!